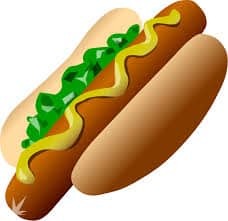 What Is in Your Hot Dog? They are a staple at sports games, an American favorite! But what REALLY goes into a hot dog – and if you saw how it was made, would you be put off for life? These videos from DailyMail will show you the various stages of manufacturing and they aren’t pretty. And just recently, NSNBS reported Human DNA found in the hot dogs.